Libraries are definitely more than books and computers as the latest art show proves. 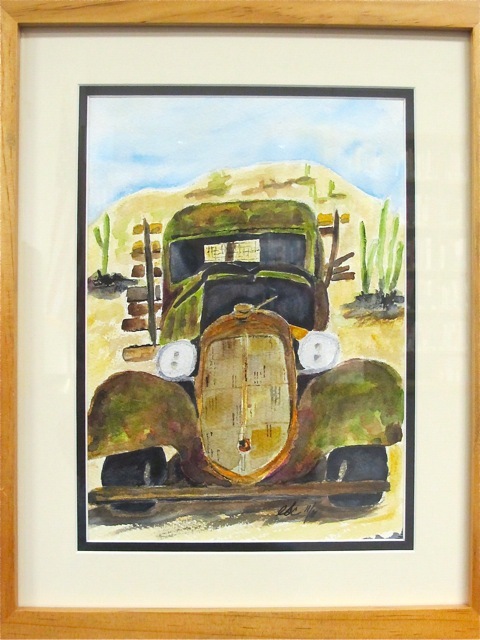 The Gibson Artists have an exhibition in the Ajo Library until the end of February. 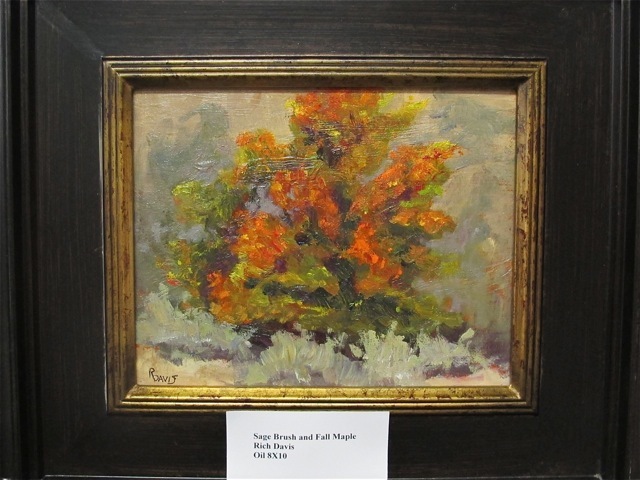 It’s worth a trip to see the work by these artists many of whom draw their inspiration from the Sonoran Desert. Whew! You needed running shoes this past weekend to catch all the activity going on in Ajo. The Piecemakers Quilt Show, The Fiddlers, Vaudeville, the artists’ Open Studio Tour. There certainly was lots to see and do. Jackie Andes did a great job organizing the Open Studio Tour. Terry Gonzales provided a creative welcome for visitors. Claire Bistline’s “The Grass Is Greener” — sold! Weather was great for both days of the tour. The Fiddlers entertained in the Plaza on Friday afternoon. Sunshine, a gentle breeze and music floating on the air — don’t get much better! Jim Reiman, Aaron Mayson and Colleen Wonnacutt prepare for Vaudeville.